Craig Marshall Regens as a New Associate Attorney In The Firm’s Oklahoma City Office. Craig Marshall Regens joins GableGotwals as a new Associate Attorney in the firm’s Oklahoma City office. Craig’s primary practice will focus on litigation and business reorganizations, workouts and bankruptcy. Craig is a former law clerk for the Honorable Sarah A. Hall, Chief Judge of the U.S. Bankruptcy Court for the Western District of Oklahoma, and a former Oklahoma Assistant Attorney General. 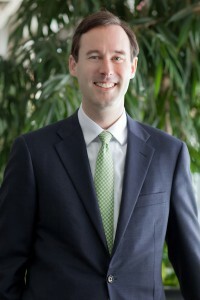 A graduate of the University of Iowa College of Law, Craig earned his master’s degree from the London School of Economics and his undergraduate degree from the University of Oklahoma. Craig is active in the Oklahoma City community, serving on the Casady School Alumni Board and the YMCA of Oklahoma Youth in Government Advisory Board. He is a former vice president and treasurer of Family Builders.